I'm not sure how long our next Skype will take- in half an hour we could Skype till 12 I guess. is there anything you could do in the mean time, without me before we skype? is it cool if we skype in 30 minutes? It's about the construction ! You can't have the ability OF time. You simply can't. It's not in the English language. You can have the ability TO make time. You can have the luxury OF time. 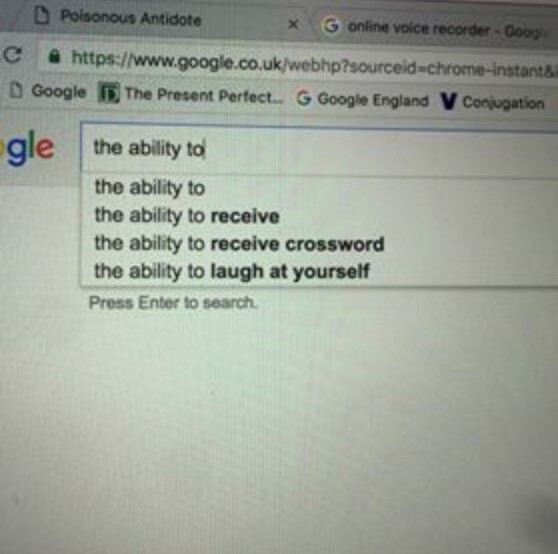 But not the ability of it. what rights are do we want to copywrite? you need it back asap right? but would it be possible to have one more quick look over certain parts please? How late do you think Joe will be up ? coud you also send it to me? I'll send it directly to Joe after I'm done- is that a good idea? From email [@] markfarid.com. Yo so Kia can't doesn't have time to do themE280A6 I think how we were doing them looks good just tightened up. I think the order of the credits should be: Artist: Mark Farid Film: Sophie Le Roux 3D Sculptures: Vicente Gasco Backend Development: Richard Ellis Fronted Development: Marc Gunnarsson Graphic Design: Kia Tasbihgou CoProducer: Victoria Sound: Joseph Little What do you think to all the above and also Kia not doing it? To mork.forid [@] gmail.com. Dear Mork Your order has been successfully registered. Items: 2 for C2A35 Garlic pizza bread with mozzarella C2A3 5.00 Mozzarella Dippers C2A3 0.00 1 x Porcini di Bosco (1/4 Tarragon Olive Oil Tomato Sauce Wild Rocket Leaves) C2A3 9.25 Delivery charge: C2A3 2.50 Total: C2A3 16.75 Your Loyalty Points balance is now 16.75 points. You chose to have your delivery as soon as possible which usually means between 30 and 60 minutes during opening hours. We always welcome your feedback good or telling us what can be done bet ter. Leave your feedback on http://firezza.com/feedback.php PS: In case you need to contact us do not reply to this email and call u s at 020 72 23 55 35 instead. on my news feed or on someones profile? if you think it should, try! can you send me the video so i can watch it? From email [@] markfarid.com. Hey Alice The main thing I changed was I deleted the paragraph that was about validation through others and took what you wrote before. I put this above the paragraph mentioned below. I92ve moved the third last paragraph above the bit a the content of this email along with any email addresses and past email threads which include email@markfarid.com are public on www.poisonousantidote.com (Google Chrome) along with all of Mark92s other digital communications which includes emails text messages phone calls Skype web browsing Facebook Messenger Twitter and any photographs or videos Mark takes in realtime along with his location updated every 20 minutes. To mork.forid [@] gmail.com. By far my favourite away trip ever and didn't even go to the game. The weat her was spot on beer was amazing and all the brugge fans we met were top b lokes. Great atmosphere the night before all afternoon leading up to the g ame and in eiermarkt for the game. Kudos to everyone in the away end look ed/sounded unbelievable. # That walk was something else. Imagine if it had been raining... # We planned to drive to the ground but half a mile out we got flagged down by four police with machine pistols and were politely told to turn immediat ely left and park up then join the other fans in their detour. We were les s than 800 metres away from the ground but ended up doing a couple of miles not too bad considering some stories I heard. To mork.forid [@] gmail.com. For the fans who travelled to Brugge. Tell us of your day your night the day after before and post match. It would be interesting to have a break down on this 1st unique game and fters... Game/barsdrinks/ restaurants. Up and downs. Hey did anybody lose a dino? ?? Was anybody able to get a ticket on the day after travelling??? Since friday I was trying all the ticket sites...Usually I have been succes sfull thisctime no chance # Amazing scenes inside the ground one of the best away ends I've been in fo r a while with everyone to a man/woman giving it their all. Only downer for me was the Coppers making us walk several additional miles Erreur 2029 and the drunken idiots in McDonald's b efore the game who resorted to singing the typical inappropriate songs asso ciated with English football fans. Overall it was a great trip and I can't wait to get out to Copenhagen for t he next away game. '# One of the best days of my life. # Wonderful trip even without a ticket. Lovely city and friendly people many of whom congratulated us for our performance. Quite why some of our more in ebriated fans would chant their support for the IRA I do not know though. Even the passport man at Calais congratulated us along with the ticket ins pector on the Shuttle and a random Spurs fan in the queue '# What a day! Has to be the best and probably most memorable away fixture I'v e been to. The weather the town the square the singing the locals the result.... All brilliant! The walk... Oh my lord! My knees are shot! But what an atmosphere on the w y all the fans chanting and singing from the square to the stadium and wat ching all the locals come out of their houses to film us all marching by... All seemed so surreal. And then then the walk back! Ahhhh : ( # What a day! Got the 5am train from Kettering to St Pancras 8am Train to Brussels and f inally the 11.22 to Brugge. All trains packed with City fans My mates flew so met them there but got talking the entire journey to diffe rent fans it was fantastic that we were all in unchartered territory. I w s buzzing all day The journey back was horrific though!! I got to bed about 1am local time an d had to be up at 4 to get back to Brussels for the Eurostar home. To say I felt ropey would be an understatement!! I had to be back in work at 12. Fe lt a bit better then but just knackered. Totally worth all the traveling and money just a perfect day. Oh and the g ame was decent too! To simon.farid [@] hotmail.com. Former European champions Hamburg are the only club to have played every se ason in the Bundesliga since its formation in 1963. # Cologne's Bundesliga match against RB Leipzig on Sunday kicked off 15 minut es late because of protesting fans. About 100 Cologne supporters blocked the arrival of Leipzig's team coach in protest at the away team's ownership by drinks manufacturer Red Bull. Rival fans have described Leipzig as an artificial product. The club was founded in 2009 and with the backing of Red Bull won four pr omotions in seven seasons to reach the top division of German football. Under German football rules the club cannot be called Red Bull Leipzig and are officially known as RasenBallsport Leipzig or RB Leipzig. They have been greeted by protests at other grounds over the past two years with fans of local rivals Dynamo Dresden dumping a severed bull's head be side the pitch during a German Cup tie in August. Sunday's sitin at Cologne followed a midweek protest by Borussia Monchengl adbach supporters who stayed silent for the first 19 minutes of their matc h at RB Leipzig reflecting the year of Monchengladbach's formation in 1900 . # European football chiefs were given evidence of one of football's greatest corruption scandals years before taking action it has been claimed. In 1984 the president of Belgian side Anderlecht bribed the referee ahead o f their Uefa Cup semifinal victory over Nottingham Forest. The facts were finally revealed in 1997 and Anderlecht were banned from Eur opean competition for a year. But new evidence shows Uefa was told about the bribe as early as 1992. Four years after winning their second European Cup Brian Clough's Forest f aced Anderlecht in the semifinal of the Uefa Cup. After convincingly winning the first leg 20 Forest had a dubious penalty awarded against them and a goal disallowed in the return tie finally going out 32 on aggregate. The truth behind those refereeing decisions only emerged during a 1997 crim inal case when Anderlecht admitted paying the Spanish referee Emilio Guruce ta Muro. At first Uefa insisted it could take no action because the bribery took pl ce more than 10 years previously but eventually a oneyear European ban w s imposed on Anderlecht. Now BBC's Inside Out has found evidence Uefa had a dossier of evidence as early as 1992.
no, but that's well done! Ive just made a sandwich because I haven't eaten today, but shall we Skype in 30 minutes? From email [@] markfarid.com. Cool. By dynamic do you want pictures lots of different things all next to each other? From email [@] markfarid.com. 1st30th September 2016 all of artist Mark Farid's personal and professional; emails text messages phone calls Skype Facebook Messenger web browsing locations photographs and videos are broadcasted in real time www.poisonousantidote.com http://www.poisonousantidote.com/ (Google Chrome only). The physical manifestations of Mark's digital footprint is 3D printed are printed around the clock at the Gazelli Arthouse London.' Yeah? Beginning or end..? From email [@] markfarid.com. It's too longE280A6 could we use the voice over at all? Maybe part of it? Or is that lame? As we move into a world where we selfbroadcast 24 hour's a day 265 days a year Gazelli Art House presents Poisonous Antidote by artist Mark Farid which see's the live broadcast of his digital footprint which include realtime public presentation of all personal and professional emails text messages phone calls Skype Facebook Messenger web browsing locations and any photographs or videos he takes along with (some) adverts advertised to Mark 1st 30th September 2016.
in like half an hour, should we arrange a skype? Could I see it with colour and without? what would you think if the film was black and white? Hi there. Just about to get to work. Will share another rough cut with you soon, and attempt the voiceover later when i've woken up a bit (too much wine yesterday night). Joe hasn't downloaded the file yet. I guess I can send him an updated version later.